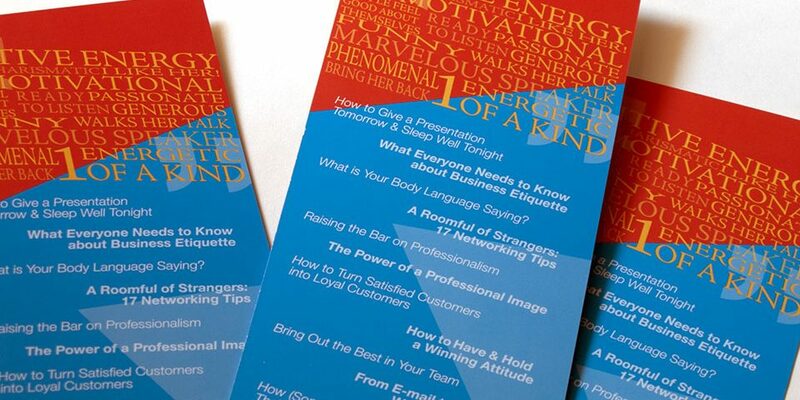 What do you do when you meet someone with a bright & bold personality? You match it with an equally odd and exiting handout piece. 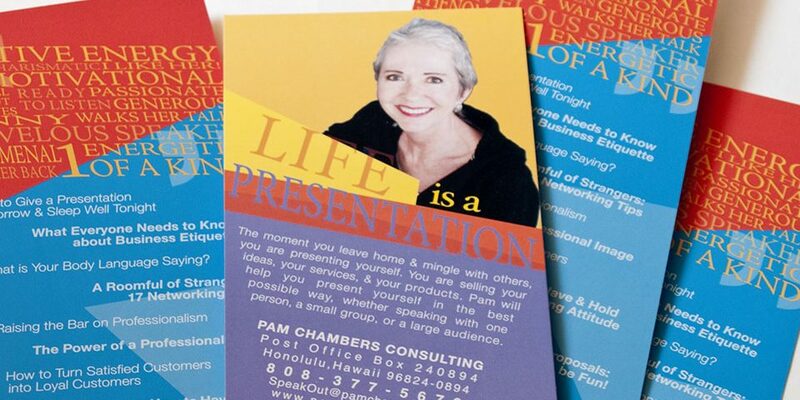 Pam Chambers Consulting already had a logo and branding specifications set by her original designer. Here I wanted to carry out her brand so it seamlessly matched the rest of her materials. Having the freedom to go wild on her piece really gave me every opportunity to practice some of my typography interests too.